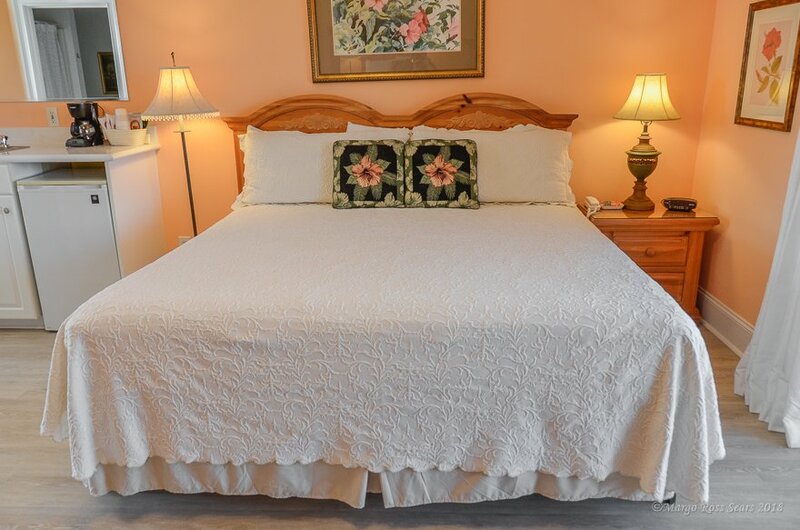 The Hibiscus Room was named after the exotic lush blooming plant with a large flower that steals the show. 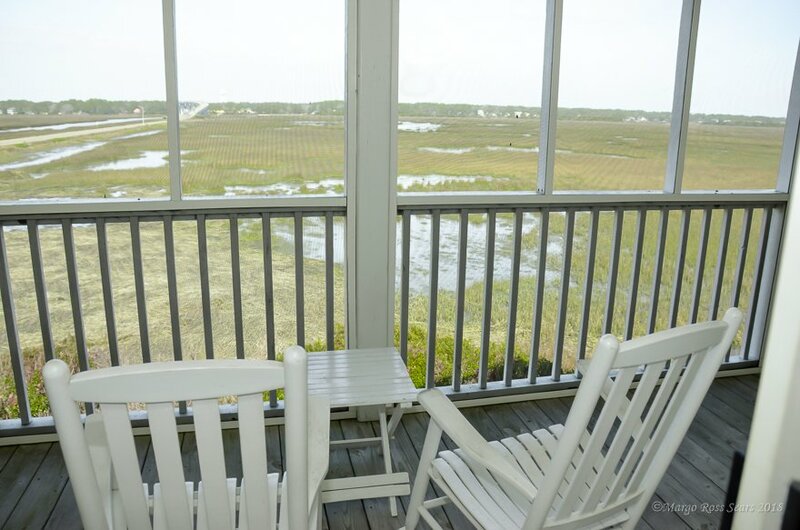 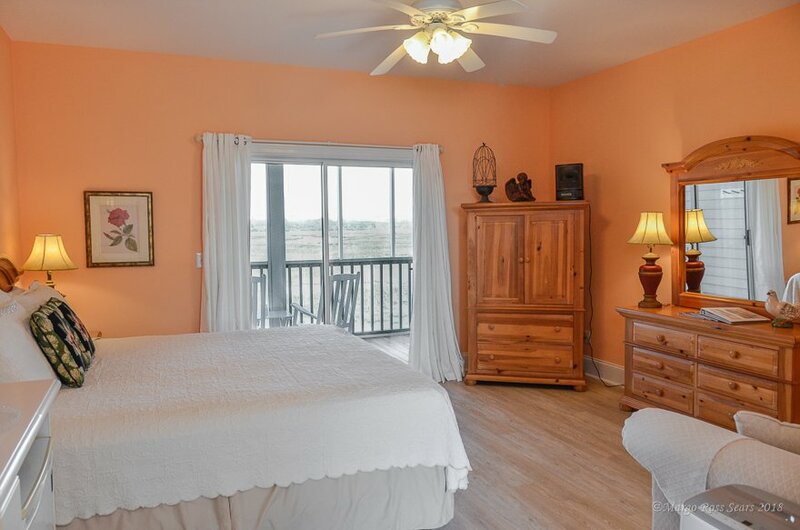 The Hibiscus Room is located on the 2nd level of our Sunset Beach Guest House, offering gorgeous views of the marsh & island wildlife. 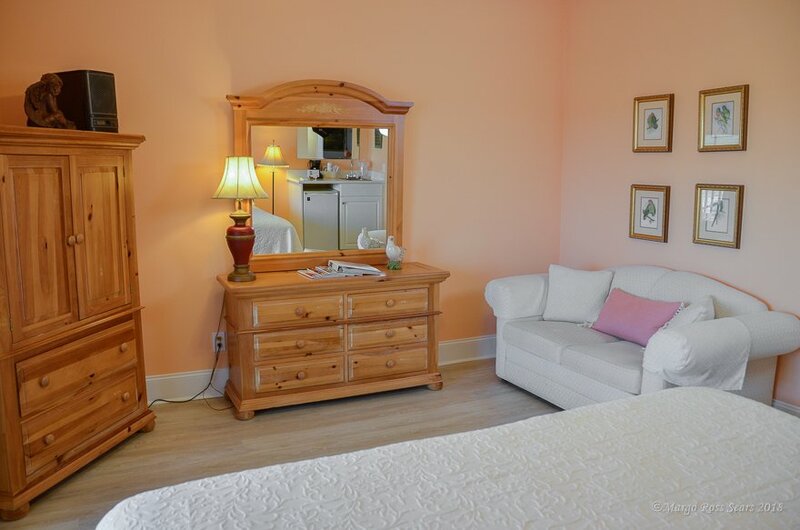 Warm yellow tones and golden honey pine furnishings provide a cheery and comforting space in The Hibiscus Room. 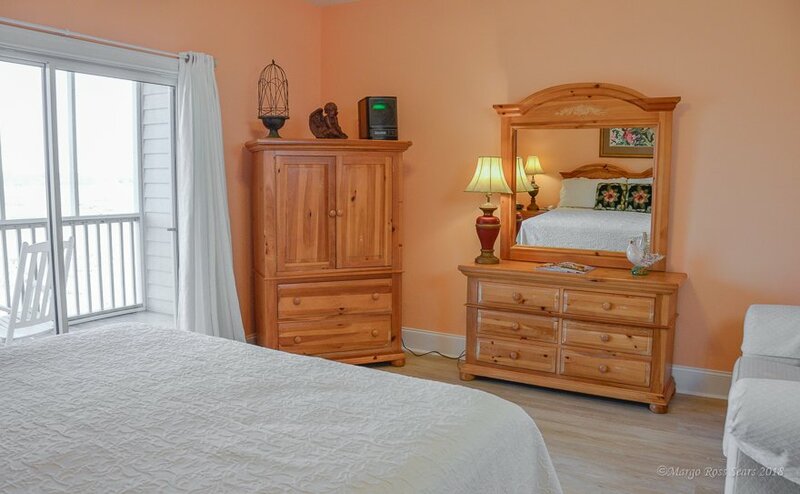 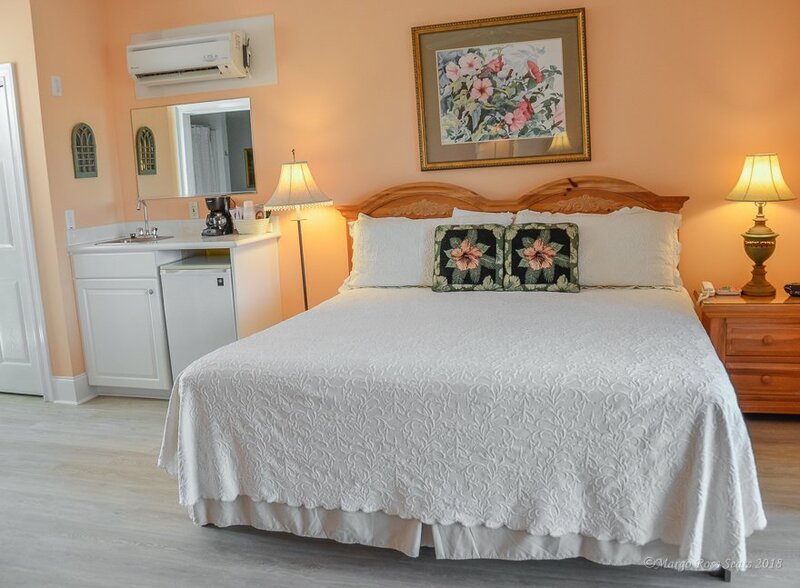 You may choose to sleep late in the comfort of the luxurious king sized bed, or take a leisurely stroll and see the many beautiful Hibiscus plants in bloom at The Sunset Inn.